This is the Mercedes-AMG PETRONAS racing car for the new season. After months of hard work, it has just been fired up at Brackley. Now the engineers are working on the last settings and the squad will be showing the new car in exactly 20 days from now in Barcelona. There is so much tension in the air that you can almost touch it. Engineers, mechanics, technicians, executive, everybody is there. Nobody dares to breathe downstairs, in the big hall, where the new car is to be fired up for the first time. 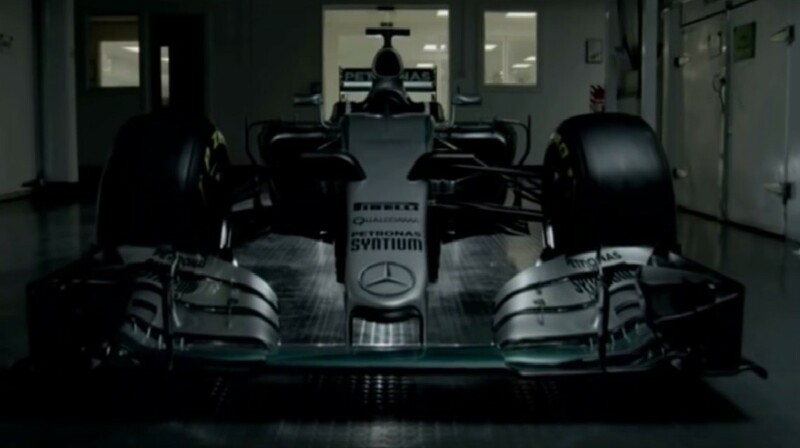 The video filmed at the Mercedes-AMG PETRONAS headquarters in England shows mixed feelings: worry after they realize they need to reset the computer of the racing car, tension until the moment they hear the engine running. And yes, that was the noise they have been waiting for, for months! Months of hard work, carried out with passion and – as the team executive Toto Wolff writes in the end – with pride. It is, after all, the team who won the Constructors’ Championship together with the Drivers’ title for the past three years.